The word “Kala” means “Art” and the word “Bhavan” means “House” which means “House of Arts” (KALABHAVAN). In 1968, Dr. Fr. 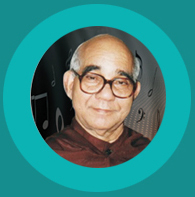 Abel CMI, who was the life and soul of the institute Kalabhavan, established Christian Arts Club at Cochin (Kochi), Kerala, India, in a very simple way with one harmonium, two fiddles, with three Children. The very next year, In 1969, Kalabhavan came into existence as the formal, organized avataar of Christian Arts Club. Today it’s a unique Institution on the cultural map of India. It has played a major role in promoting various art forms, Classical, traditional and modern dances in India as well as abroad. A landmark and beacon in the cultural history of India, Kalabhavan is a rich promise to the cultural revival of the country. Kalabhavan stands for the promotion of cultural talents, on a scale never before attempted by any other organisation governmental or public. This prestigious institution has been the grooming ground for music legends like Yesudas. S. Janaki, Sujatha and the South Indian superstars like Jayaram, Dileep, Kalabhavan Mani, Hrisree Ashokan, Late Sainudeen, Kalabhavan Ansar, box office director Siddique and Lal among others. Kalabhavan has also earned international acclaim through its riveting stage programmes. Its troupes have been enthralling audiences all over the world including U.S.A, European countries and almost all parts of the Middle East over the past decades. Also Kalabhavan does not require any publicity or testimonials, as some of the most established and succesful artists in the Indian film & art industry are former Kalabhavan students whose success and acclaim are a confirmation of the Institute's pedegree.. In the Gulf, Kalabhavan Kuwait, Dubai, Baharain, Qatar & Oman will leave no stone unturned in its quest to promote a whole range of fine arts including classical dance, folk dance, classical music, Western Music, percussion instruments, stringed instruments, drawing & paintings etc.. among the Asians, Arabs, Europeans, Americans etc.. Now Kalabhavan, India is expanding its wings to the other parts of the world. In the Kerala Catholic Church Dr. Fr. Abel, CMI, was a towering figure, having crafted much of its liturgy, including its songs, when the liturgical language was changed to Malayalam from Syrian. But in the state’s secular world, Dr. Fr. Abel had an equally impressive life, having created this art abode, Kalabhavan that nurtures thousands of talents every year. Dr. Fr. Abel was originally an academician, having done his doctorate in Journalism & Politics from Rome International University, and having taught at Devagiri College, Kozhikode. But nothing could silence the humming within. Looking back, Kalabhavan’s success can largely be attributed to two philosophies that Dr. Fr. Abel taught and lived. Love art and serve art lovers, without any considerations like caste, creed, rich, or poor. 12 years of excellent track-record and dedicated teachers and management, around 14 art forms to choose from, more than 9,000 students already completed their training. Are any other reasons required to explain the 700 to 800 students enrolling here each year? Kalabhavan is the unique art academy never before attempted by the government or organized sector. • The Institute Kalabhavan, having the history of four decades with excellent reputation and global brand name. • Kalabhavan, the only Music Training Institute in Kuwait, approved by the Kuwait Ministry of Private Education. • Kalabhavan prepares the students for the Associated Board of the Royal Schools of Music in London (ABRSM) for the grade examination. • Kalabhavan conducts yearly stage shows to give opportunity to the students to perform on the stage. • Kalabhavan assures to give individual attention to each student in the class. • Kalabhavan conducts monthly talent shows & inhouse competetions for the students along with the certificates. • Kalabhavan conducts Chitrahar Drawing & Painting Competetion contest all over Kuwait. • Kalabhavan offers Special Summer Package Classes and Summer Camp for the Students. • Kalabhavan updates the progress of each student on a monthly basis. • Dedication to serving art & art lovers indiscriminately. • Preserving the old while presevering the new - choice of varied art forms both traditional & modern.